In July 2017, Michael and I visited Kenya to kickstart Good Things Foundation’s Digital Life: Kenya Pilot with the Kenya National Library Service (knls) The purpose of the trip was to meet knls, visit libraries, train 20 librarians as Digital Champions, and experience Kenya for ourselves. 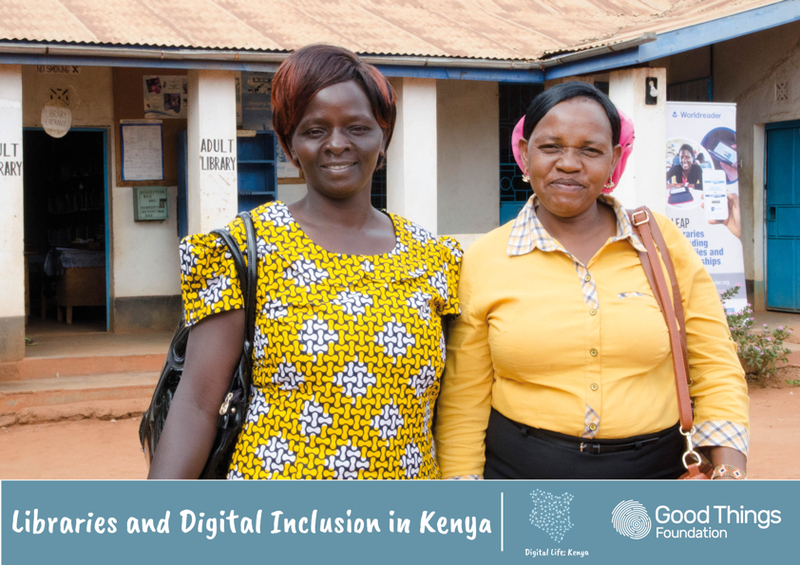 The aim of the Digital Life: Kenya is to test how effective Good Things Foundation’s digital inclusion programme and resources are in supporting people to improve their lives through digital in Kenya. 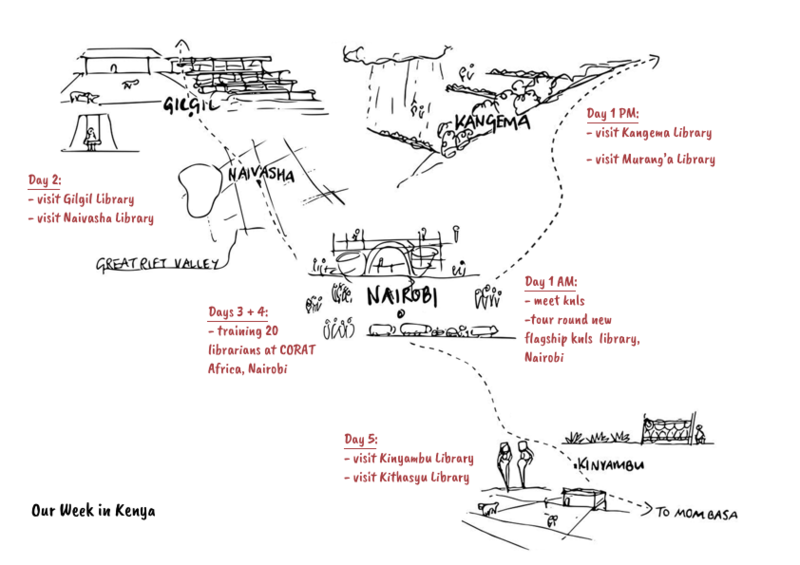 Our trip allowed us to test out the assumptions we had about life in Kenya and the current and potential role of libraries in delivering digital activity in communities. Today we are launching our report: Libraries and Digital Inclusion in Kenya. The report gives a flavour of our week and presents some of the findings and issues we want to delve deeper into over the course of the pilot. Whilst in Kenya, we visited six libraries. Kangema, Murang’a, Kinyambu, Kithasyu, Gilgil and Naivasha libraries. In between our visits, we spent two days training 20 librarians as Digital Champions and on Learn My Way. Does our model have relevance in Kenya? We were pleased with how the Digital Champion training went. We think that there is a need amongst librarians to be made more aware of learning tools available and to learn from community learning that happens in libraries elsewhere. We also think that Learn My Way has potential because it’s free, it offers a curriculum and learner management. Outcomes measurement: We’re currently trying to understand the outcomes of most importance to library customers, and how they relate to the Sustainable Development Goals, in collaboration with librarians, and co-designing ways for them to track learner progression. Webinar: We’ll be talking to the 10 pilot libraries about how they are getting on and sharing extra resources with them during a webinar in September. Next visit: We plan to return to Kenya later in 2017, to visit more libraries and meet library customers who are learning basic digital skills. Regular comms: All 62 libraries will receive a newsletter in October, to keep them up to date with news and learnings from the pilot.